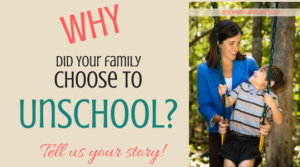 We started homeschooling 3 years ago when my oldest turned 6 (Kindergarten age). I started out thinking I would be one of those moms who would use a curriculum and follow it everyday. I quickly realized that was impossible for us and not in any way free. Ultimately, we homeschooled for the freedom. So, we have taken full advantage of freedom and have let go of all traditional expectations of teaching, learning and ultimately what education means. I have made a strong effort to surround myself with like minded people who view our lives as our learning . Having people around who trust this process has made our life journey far more rich than any curriculum could have. We feel so fortunate to have found our way to unschooling that we think of it as the “best kept secret”, except that we tell everyone how wonderfully brilliant it is! 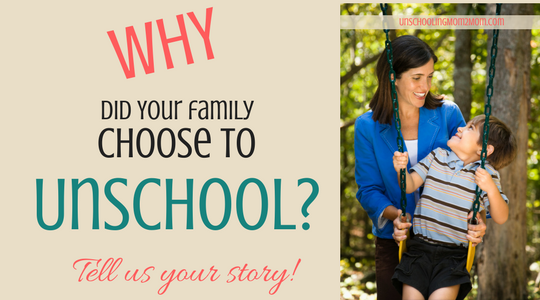 We started unschooling as a renaming for chronic illness. I had to bring my youngest home from school due to his developing OCD. 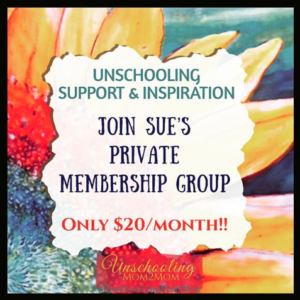 As I researched more and more I discovered what a great fit unschooling is for those with chronic illness. It allows flexibility for the day to day changing needs and it brings so much light into our lives both on an activity level and also in a way of looking as we overcome anxious thoughts. In fact we looked like we were having so much fun, my eldest decided he wanted to leave school and join us! 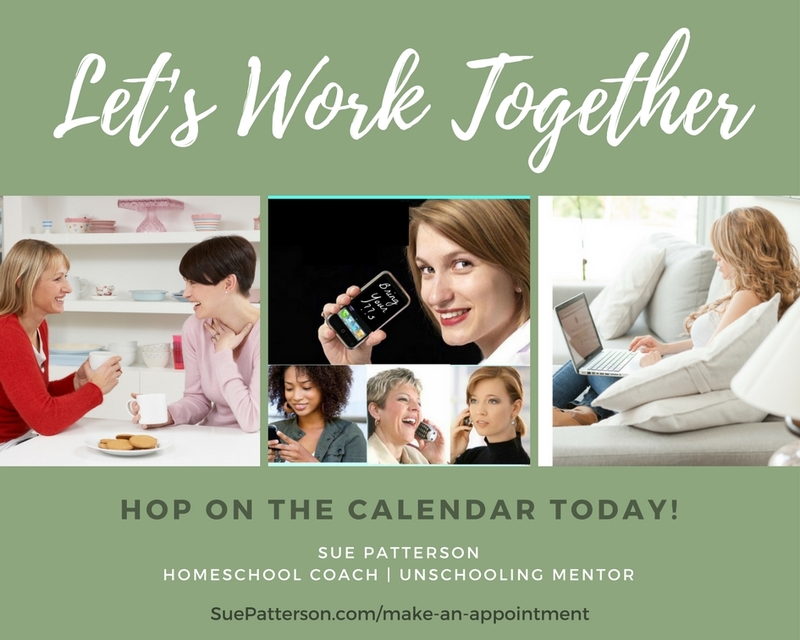 We have now been happily unschooling for nearly two years and as so many people discover, it has migrated into all areas of our lives, where we live with respect for each other and flexibility and light. As strange as it sounds, we are thankful in one way that my son became ill because our lives have changed completely for the better! By the end of Kindergarten the pressure, judgment and stress of the traditional education system had sent our family into a complete tailspin. My son was depressed and angry and our relationship was in shambles. We both felt judged and overwhelmed. My son was adopted at birth with prenatal trauma and struggles with anxiety and issues of sensitivity, self-worth and attachment. 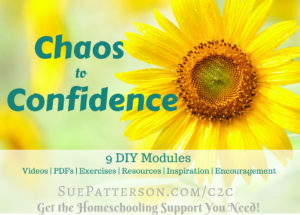 I resisted my son’s request to homeschool him because I couldn’t imagine spending the whole day with him or being responsible for teaching him anything. I was so exhausted by what I had to go through every day to get him out the door to school and then after dealing with aggression and meltdowns upon his return. On the 3rd week of First Grade I had no choice but to listen and we began school at home. Within days I discovered Deschooling which led to Unschooling. Over the next year our life began stabilizing and we both became happier. It was not always easy. I still had to learn how to partner him in a respectful way. I had to grow and begin to trust that we are all intrinsically motivated to learn. We are now in our 6th year. In Unschooling I work at understanding and supporting him right where he is at. We can take the time we need to breathe and work together through challenges. I have the space and support to focus on our relationship and on seeing what lights him up. My mission is to let go of my fears and trust him on his healing journey. Without the stress of fitting into the school environment shutting him down he can learn what he needs to learn for his unique path. He has room to discover his interests and passions and what brings him joy. He taught himself to read and write through gaming and youtube. He is growing into the passionate, self-aware, kind and, curious person he was meant to be. 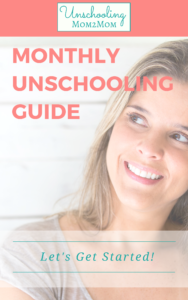 I started thinking about unschooling before I had kids because of philosophy and educational theory. I was in grad school and saw that even at the highest levels, in a grad seminar or teaching college students who had been admitted to a university and gotten As their whole lives, being a teacher put people in a position to condescend to and demean students. This didn’t make any sense to me. If the students were “not getting it” “not reading the syllabus” “not discussing” “not interested,” how could it be their fault, for such large numbers of students who in fact had in other situations done so well? I ran into the work of Astra Taylor on philosophy, and then found her discussion of growing up unschooling. From the moment I saw that video unschooling made sense. People want to learn, but sitting down and being forced through the motions to learn what someone else tells you stifles curiosity. 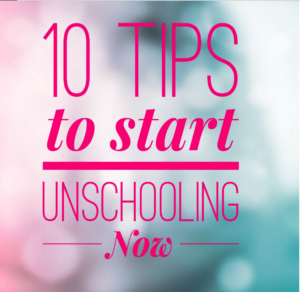 Of course I didn’t start unschooling till I had kids, and even then I’d look at schools longingly. There was a preschool near our house, and I used to walk by it and wonder if I was denying my daughter something since they had all these great toys and other kids to play with. Then one day I walked by on my way to the bus and realized that I could choose to take her on adventures with me to the library and the rose garden and museums, or I could put her behind a fence for several hours a day. There were many other decisive moments, especially watching how much she learned on her own. But I unschool because school is a prison and it would crush her passionate research into chosen areas of interests. Instead we just have fun all the time and she’s learning soooo much.